Kenya is fondly referred to as the “Jewel of Africa”, and is probably one of the most recognised safari destinations in Africa. There’s no denying that Kenya is an “all rounder” when it comes to game viewing, sweeping scenes, open savannahs and tranquil tropical islands. In one country it’s possible to go from viewing the snow-capped peaks of Mount Kilimanjaro to relaxing in the turquoise waters of Lamu Island, and witnessing tree-climbing lions straddling branches of trees on arid open plains. One-tenth of Kenya has been given either national park or reserve status, making it a coveted region for spirited safari-goers. But it’s not only the exquisite biome and wildlife that make Kenya an exceptional destination. It’s also the people. 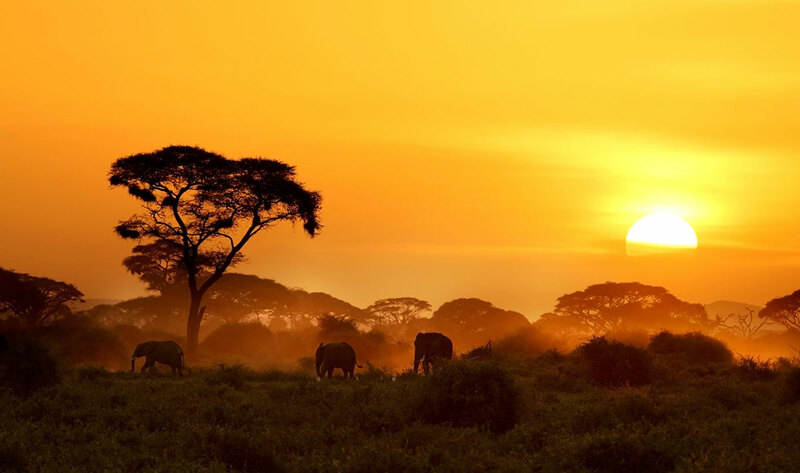 Kenya has a rich and vibrant culture, one that has the earth and conservation at its core. The boldly dressed Maasai people are the custodians of their land, constantly conserving Kenya’s wildlife. And it’s also the birthplace of many novels and movies. Kenya certainly lives up to its colloquial phrase, the Jewel of Africa. 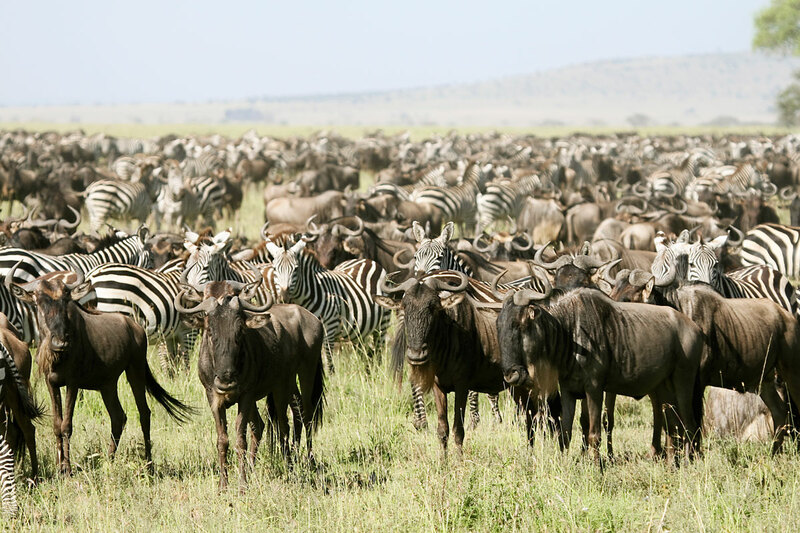 The wildebeest migration put Kenya on the map in terms of being a sought after safari destination. The Masai Mara area is a major drawcard for many visitors and borders the neighbouring country of Tanzania; which means holidaymakers will often combine countries for the ultimate wilderness experience. Located in the southwestern region of Kenya, this preserved savannah is home to a wealth of wildlife. But the highlight? Well, that would have to be witnessing the annual wildebeest migration which is best witnessed during the October months. Of course, the peak season is when it’s dry from late June to October. The herds are generally around from June – October, but October they begin their mass migration back to the Serengeti in Tanzania. Mombasa lies along the coast of Kenya and is the gateway for a tropical island retreat – Africa style! Picture scenes of dhows, remote beaches, dilapidated houses, fishing villages and Moroccan style villas framed by calm seas and endless stretches of beach. 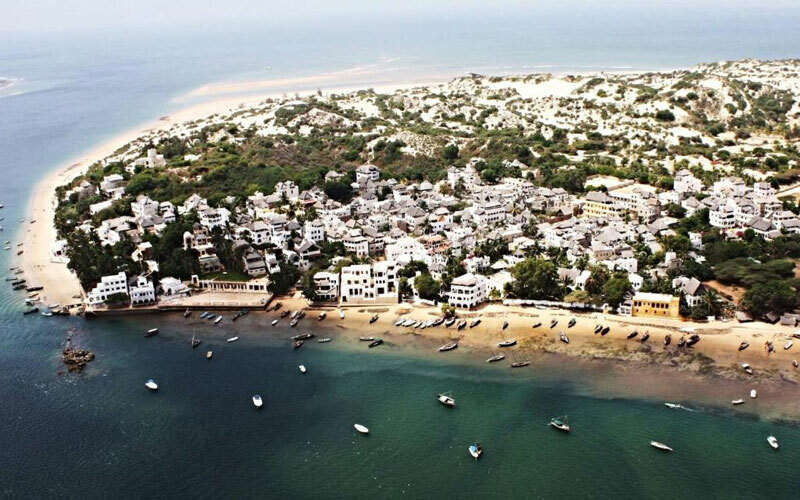 The best place to wipe the safari dust off with salty sea water is in the Lamu Archipelago – a group of tropical islands lying parallel to the coast of Kenya. Lamu is the quintessential Kenyan coast life and remains a rustic, and remote destination with a signature donkey-and-cart way of life. Amboseli is famous for its gigantic free-roaming Tuskers roaming the plains, one of which was well-documented and researched. Echo the elephant was the subject of many books. Not only is Amboseli rich with wildlife, but it also has one of the most photographed views in Africa. The view of the open plains resting at the base of the snowcapped Mount Kilimanjaro has adorned the pages of many brochures and postcards over the years. An absolute must-see! Sprawling across the Kenya and Tanzania border, Amboseli National Park is in a prime position to enjoy a varied biome of two countries. The park consists of 5 wildlife areas comprising open plains, acacia woodland, undulating rocky regions, thorn bush, swamps and marshlands. The perfect habitat for a variety of species to thrive. Ever heard of that movie “Ghost in the Darkness”? Its plot was based on two rogue lions that were known as the “man-eaters” of Kenya. The duo killed over 135 people back in 1898 when numerous people were building the Kenya-Uganda railway. An absolute legend of a story. There are still lions within the park today, some of which look somewhat different from other lions. The males have sparse manes, and – in fact – appear maneless! There are numerous reasons as to why male lions might not develop a lustrous mane. One of these theories is that high testosterone levels could cause a lack of hair and it would account for their exceptional aggressive tendencies. It is also believed that the climate and conditions of an area could affect the development of these manes. Tsavo is blistering hot and has incredibly harsh conditions, which would account for how the Tsavo lions look. This park is the only area that accommodates night drives and the landscape is easily navigable, in the sense that it’s low-lying savannah with flat, unforgiving landscapes. Tsavo East is popular for short safaris combined with a beach destination, such as Mombasa or the Lamu Islands. Meru National Park is home of the book “Born Free”, a story that centres around Elsa the lioness. The national park is a forest reserve located in a protected area straddling to the equator. There are hills rich with volcanic soils, flat landscapes and numerous rivers zigzagging through the park. Mount Kenya forms an incredible backdrop to the park – and the wildlife is phenomenal. Buffalo, wild dog, zebra, and abundant birdlife are just a few of the things to spot while on safari in Meru.